BMW 540i with M performance parts. NOT the M5, yet. 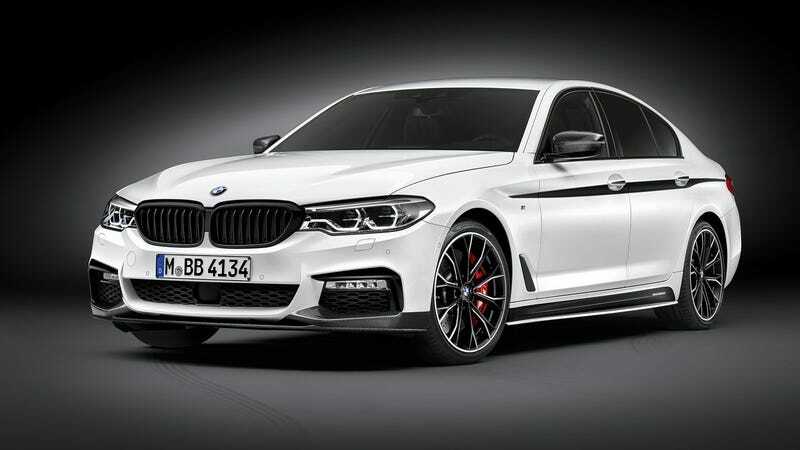 We’ve seen rough renderings of the 2018 BMW M5, we’ve heard it out on the Nürburgring, and now BMW has finally confirmed that the new generation is powered by a 600 horsepower version of its twin-turbo V8, powered through mostly the rear wheels. The 4.4 liter twin-turbo engine is essentially the same as the outgoing model, but the tweaks are mostly good news, with power output at around 600 hp and 516 lb-ft of torque. Unfortunately, we’re now entering an age where the M5 will only be available with a traditional and good 8-speed automatic transmission. BMW claims 0-60 mph in just 3.5 seconds, via Car and Driver. 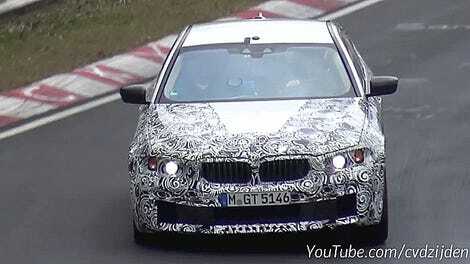 The next M5 might say it’s AWD on the label, but BMW hasn’t strayed away from its RWD roots completely. The system will be adaptive, with the car in “2WD mode” most of the time, and AWD kicking in only when things get too crazy. As we’ve reported before, you can still do burnouts with the toggle of a button. We’ll finally see the car unveiled at the Frankfurt Motor Show in September. So far it seems pretty good!